A 16-year-old boy has been taken to hospital after being found chained to a bed in his family's Blacktown home. The teenager, who is believed to have autism, was found by a charity worker who had attended the home, police said. He had allegedly been left in the house by himself and was chained to a bed in a back room of the small brick home. 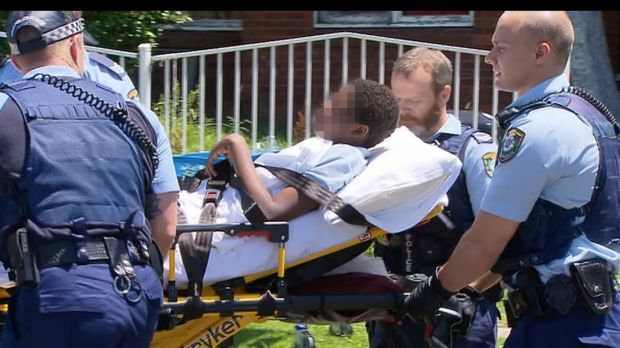 Police and paramedics arrived at the Mort Street just after midday on Tuesday and freed the teenager before removing him from the home on a stretcher. The boy's 38 year-old mother was arrested when she arrived back home around 12.30pm. A shopping trolley full of food was still sitting in the front yard as police questioned the mother at the house. Neighbours said the teenager had developmental problems and was one of five or six young children in the household. "He can walk, he can jump, he can play. But he can't talk. He can't understand," said a neighbour, who did not wished to be named. She said the boy would often run in the street, sometimes naked. She said the teenager was the oldest of at least five children. "They are beautiful kids. We only say hello and goodbye, that's it," she said. A police spokeswoman confirmed the teenager had been taken to Westmead Hospital as a precaution. "Officers from Blacktown Local Area Command will investigate all the circumstances. They will be speaking with the boy's mother and other relevant agencies," she said. One NSW Fire & Rescue crew was also called to help remove the boy. A 16-year-old boy has been taken to hospital after being found chained to a bed in his family's home. Compassion should be shown towards a mother who is accused of chaining up her severely autistic teenage son in their western Sydney home while she went shopping, a leading autism awareness campaigner says. Nicole Rogerson, the CEO of not-for-profit organisation Autism Awareness Australia, said while there was no excuse for abusing or restraining an individual with autism, the situation was far from black and white and "I'm not going to pretend like we don't understand how these things occur". 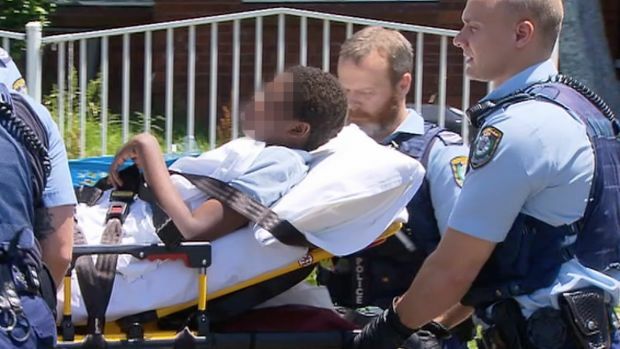 Police and paramedics were called to a house on Mort Street in Blacktown on Tuesday after a charity worker allegedly found a 16-year-old boy, who had severe autism, chained to a bed in a back room of the small brick home. The teenager had allegedly been left at home alone while his 38-year-old mother went shopping. 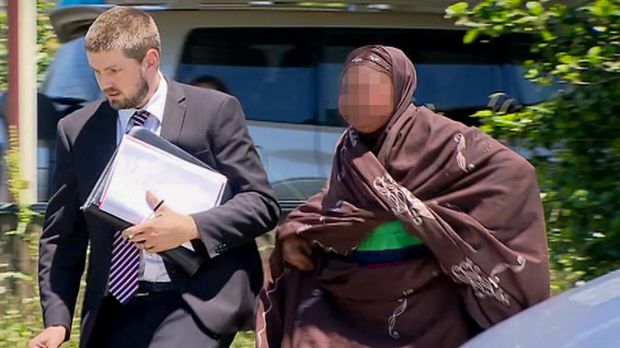 The family is believed to be from Sudan, and the mother is raising at least five children on her own in Blacktown while her husband is in Africa. Neighbours said the teenager had developmental problems, could not talk, and would often run away from the family's home. Ms Rogerson said she suspected there were similar cases in Australia that never came to light involving parents of children with autism who had reached breaking point and ended up in situations that were abusive. "My initial reaction was that I was just horrified, but I wasn't surprised," Ms Rogerson said of Tuesday's discovery. "There are some families that are absolutely at breaking point, and whilst I do not condone it in any way - abuse and restraint of an individual with autism is just never OK - I'm not going to pretend like we don't understand how these things occur. "I suspect there are parents who have no clue how to manage a child with autism and they get themselves into situations which are abusive, which is terrible." On Wednesday, a spokesman for the Department of Family and Community Services said they would work with police and other agencies "to ensure the family receives appropriate support". "FACS is working closely with NSW Police to ensure the teenage boy is safe and well cared for," the spokesman said. Ms Rogerson said caring for a child with severe autism could be culturally and socially isolating, a situation that would be compounded if the family was new to Australia. "You can see how desperate the situation has become for the woman, but I also understand the view that asks: Should we ever excuse this, can we ever excuse it? I think the answer to that is no, but it must surely lead to the bigger discussion as to how does this even happen, and how do we prevent it from happening?" She said a child with severe autism needed behavioural intervention, however there was no National Disability Insurance Scheme in Blacktown. "You're not going to get any support if you don't have the finances to be able to afford private health [insurance]. There's very little that's publicly available for this woman," she said. Ms Rogerson said she understood some people would disagree with her view that compassion should be shown towards the mother, but she said the situation was complex. "I'm happy to take the criticism that being compassionate to the mother is looking at it through the view of parents only, and not as a child with autism," she said. "But I am the parent of a child with autism, so I obviously view it that way, and I think there's a bigger story here. I don't think it's black and white. I think we should be grown up enough to have a wider conversation." The mother was arrested on Tuesday, but was released without charge that afternoon while the investigation continues. The case has been referred to the Department of Family and Community Services (FACS), and a NSW Police spokeswoman said officers would liaise with the department during the investigation. The 16-year-old boy was taken to The Children's Hospital in Westmead on Tuesday, and was released on Tuesday night. The mother of an autistic teenager said her decision to restrain her son with chains was a "big mistake", and one she made in a moment of high stress and illness. Fawziya Adam, 38, drew widespread condemnation after she left her severely autistic son chained to his bed while she walked to the doctor's surgery on Tuesday. Everyone who knows me, everyone from the community, knows I love my son. Single mother-of-five Ms Adam, a Sudanese refugee who fled the Darfur conflict, said she loved her son and would "do anything for him". Her decision to restrain him was motivated not by malice, but a fear he would hurt himself if left alone in the house, she said. "I used to take him everywhere with me, but now he is strong. This time I was scared because the last time he ran away and pushed me and people in the street and the chemist. "That's why I didn't take him with me." The incident has highlighted the lack of support and services available to parents of disabled children, particularly in western Sydney, where the National Disability Insurance Scheme is yet to be rolled out. Adrian Thompson, CEO of Josephite Community Aid, said his organisation had worked with Ms Adam and her family for over a decade, providing her children with homework help, school holiday activities and ensuring the children had Christmas presents. He described her as a loving mother who would go to immense lengths to care for her child. "I have seen the love this mother has for her kids. I have seen her go through so much just to help him be part of the community. "He can act out. I've seen him do it. But I've seen her care for him so well." Mr Thompson said his volunteers made an impromptu visit to Ms Adam's Blacktown home on Tuesday to invite her and the family on a charity-run weekend trip. When they discovered the teenager alone in the front bedroom of the house, they made numerous attempts to call Ms Adam on her mobile but couldn't get hold of her. Mr Thompson said he joined the volunteers at Ms Adam's home and, upon realising the teenager was chained to the bed, immediately alerted authorities. When Ms Adam returned to home around midday, her house was teeming with police, paramedics and officers from Fire and Rescue NSW. "I was very scared. I thought maybe there is a fire," she said. Instead, emergency services had broken into the home, freed him from the chain and carried him on a stretcher into a waiting ambulance. Mr Thompson said Ms Adam became visibly distressed and was clearly unwell. Recounting the incident, Ms Adam said her son usually attended William Rose School, a special needs school in Seven Hills, during the week but she had been too ill to take him on Tuesday. With no other help to call upon, Ms Adam said she felt she had no option but to leave him at home alone while she walked to a nearby doctor's surgery and chemist to pick up medication for them both. 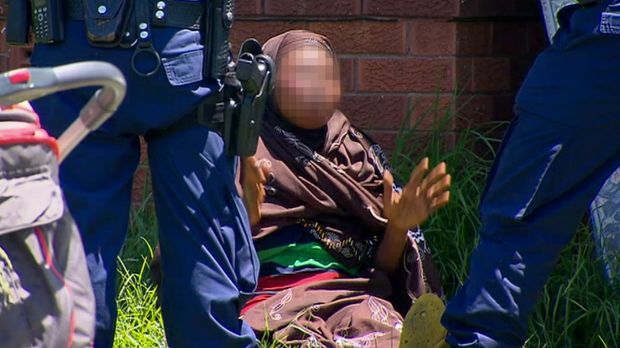 The teenager had run away from the family's Blacktown home on numerous occasions, she said, and she feared he might do it again while she made the 45-minute round trip to the doctor's surgery and the shops. "If I didn't tie him like this, he would run away in the street, no coming back. He would go and not stop. The cars are dangerous and he doesn't understand about cars. "That's why I was scared, the cars would hit him." Several neighbours told Fairfax Media they often saw the teenager running in the street, sometimes naked. Ultimately, the decision to chain him to the bed was a "big, big mistake", Ms Adam said. "Never, never, never, never, ever again. "Everyone who knows me, everyone from the community, knows I love my son. "I've taken care of him for 16 years. I do everything for him. I feed him, give him medicine, everything. I have no help. No one from the government or anywhere comes to help me." On Wednesday, Nicole Rogerson, the CEO of not-for-profit organisation Autism Awareness Australia called for compassion, not judgment, for parents raising autistic children. "I think we should be grown up enough to have a wider conversation."